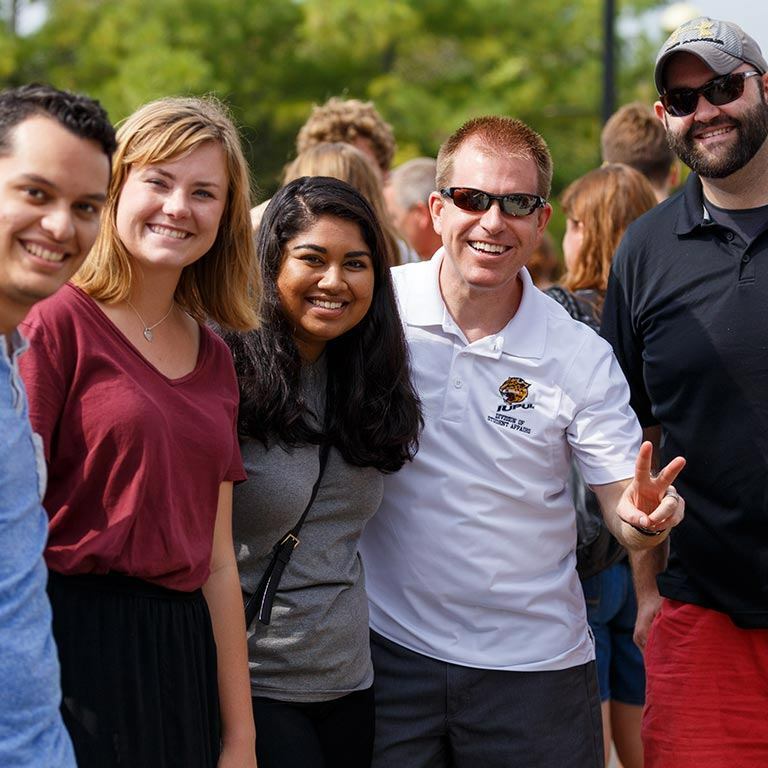 After you graduate, there are still so many ways to stay connected to IUPUI and show your Jag pride. Here are a few simple ways to let the world know you’re proud to be a Jaguar. Social media is a place to tell people about ourselves, share our proudest moments, and remember the good times. Show your friends and followers where you came from with IUPUI cover photos and profile images. 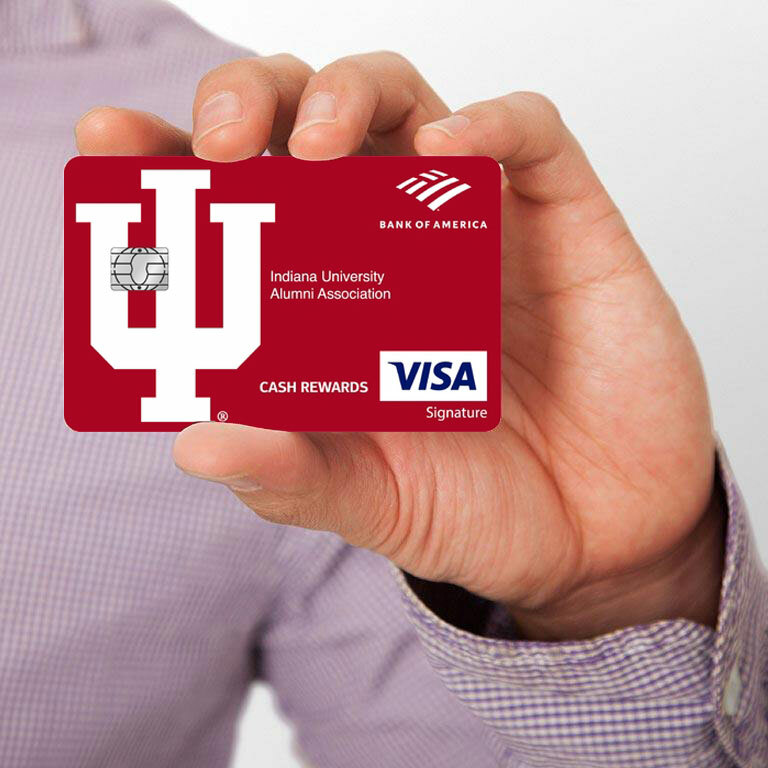 Earn cash back on your purchases and support your school with an IU credit card or Purdue credit card. Your purchases will help fund student scholarships, alumni lifelong learning programs, career services, and more. 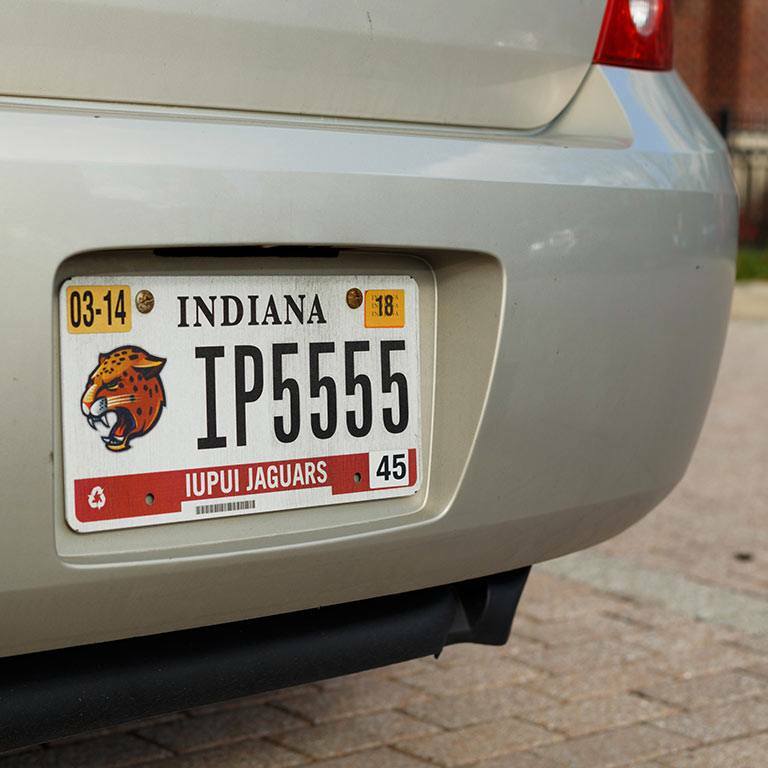 Let your engine roar with an IUPUI Jaguars Indiana license plate. Specialty plates are available directly from the Bureau of Motor Vehicles through your local license branch. An age-old, long-lasting tradition that you can wear every day. 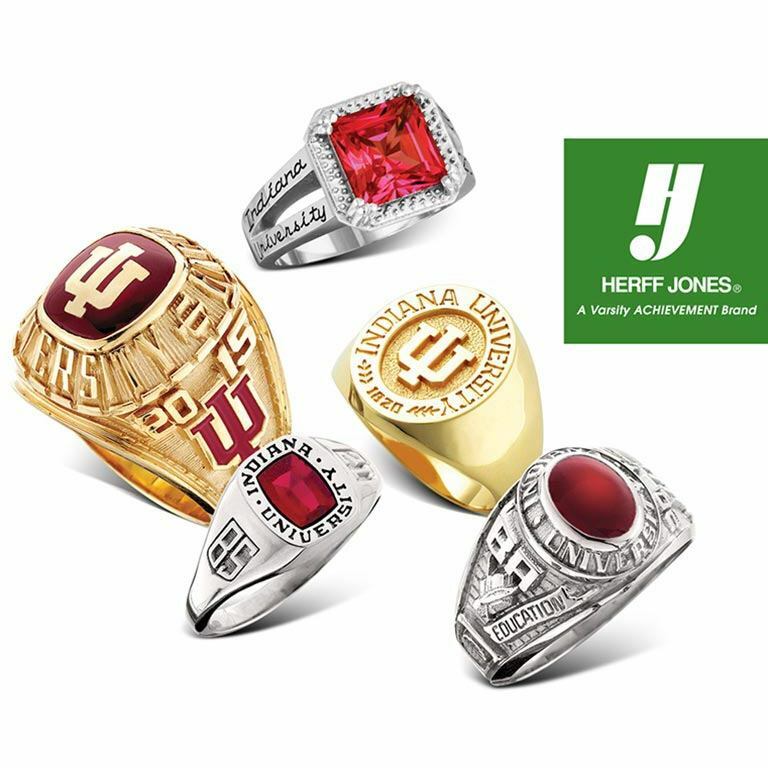 Both IU class rings and Purdue class rings are available to students who have completed at least 56 credit hours at IUPUI. Be our guest. We’d love to see you at an IUPUI signature event, like the Regatta, Holiday Night, or Top 100 Dinner. Recruit students. Help fund a scholarship. 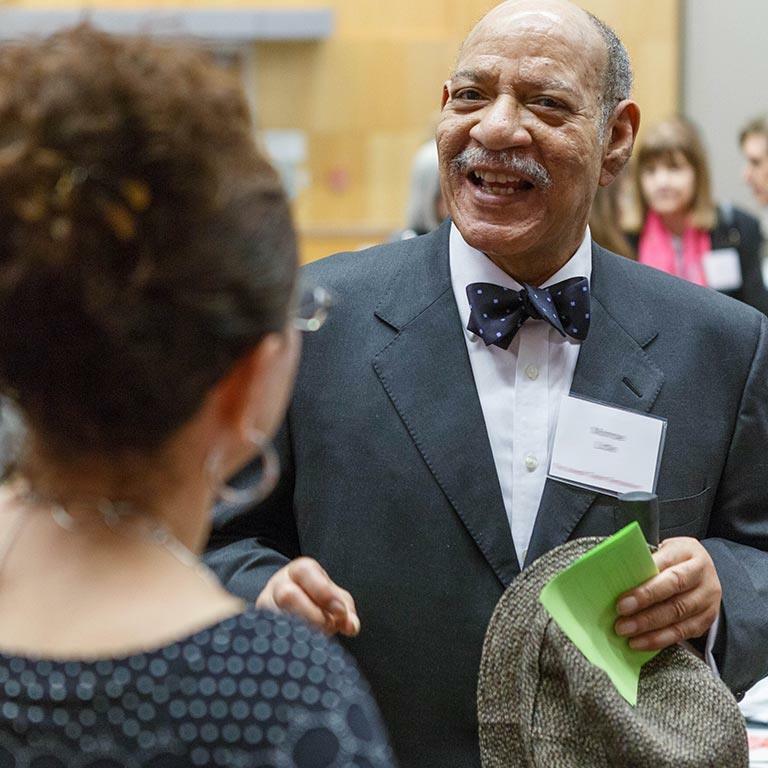 As alumni, we can give back to IUPUI with our time or money—and no gesture is too small. If you decide to stay in Indianapolis, we hope you’ll cheer on the Jaguars at a home game. 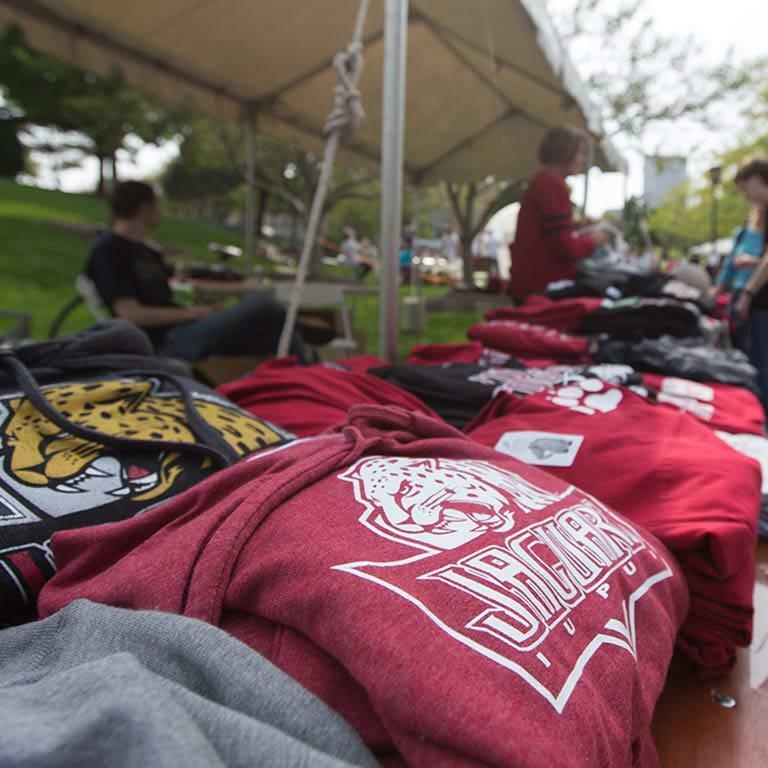 There are more than 75 chances each year to support the Jags in person, from men’s and women’s basketball and soccer to volleyball, softball, swimming, and diving. Season tickets are also available. Did you know IUPUI has its own fight song? Proud are the voices lifted high, cheer for IUPUI. Fight, Jaguars, fight! Go Jags! We’re raising by the power of two, both Indiana and Purdue. Doubly strong, we’re ever true to IUPUI. Hear now our battle cry I-U-P-U-I! See now our banner fly, I-U-P-U-I! Hail to the Jaguars of IUPUI. Loyal to you we’ll always be. The power of two, our destiny. Doubly strong, it’s victory for IUPUI. Doubly strong, it’s victory for IUPUI. Hear our battle cry! Our favorite five letters on a shirt, hat, backpack, or coffee mug. Shop online or visit the IUPUI Bookstore inside the Campus Center.